If you’re like me, then waking up is a struggle in the morning, let alone cooking yourself a healthy breakfast. Solution? This perfect morning snack to get your day started. I don’t mean to sound like a broken record of every health magazine, self-proclaimed nutritionists, etc. but it is super important to make time for breakfast within an hour of waking up. (And no, I don’t mean running to Starbucks to get a breakfast sandwich jam-packed with sodium). 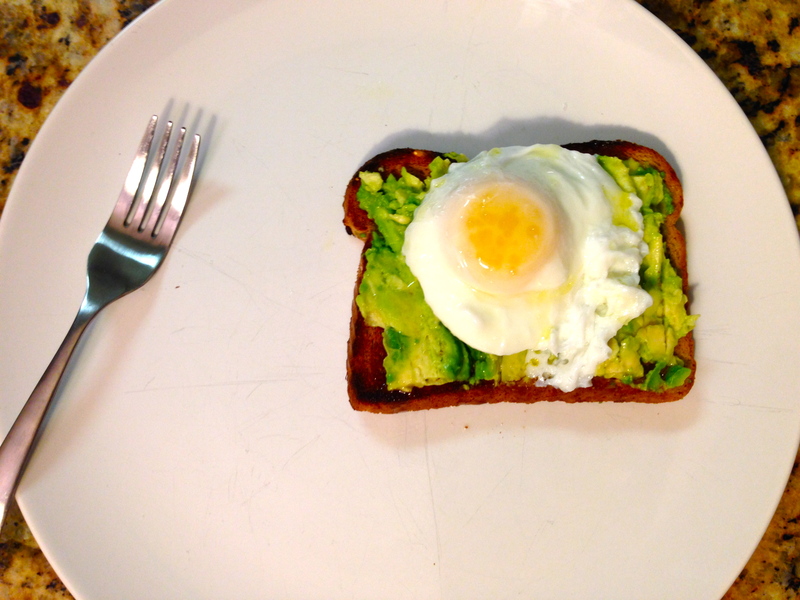 Avocado toast with a poached egg is quick to put together and the ingredients are relatively inexpensive. This was my first go-around with poaching an egg and it was surprisingly simple and mess-free! Added bonus: It’s the healthiest form to eat a cooked egg. This open faced breakfast sandwich is packed with fiber, protein, and healthy fats!